Well, did you keep up this week? (If you don't know what I'm talking about click here. )I have to admit there were a couple days in there that I had to read two days worth. I'm still trying to get into the habit. My brother gave me a pretty stone bracelet for Christmas this year. It has a little silver disc on it that says "brave". My sister-in-law told me that Jake picked this one out just for me. I think that it means that he thinks I'm a wienie and need to be more brave....I think he's right. While I was read this week, I kept getting stuck on Noah on Day 2. 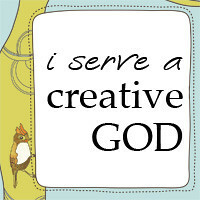 Noah found favor with the Lord (Gen 6:8)...because he walked in close fellowship with God (Gen 6:9). He built the ark, you all know the story. But have you ever really thought about that story? I can honestly say: not really. 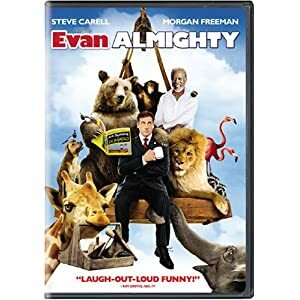 Not until I watched Evan Almighty, which is silly, I know. I always thought I wanted God to just tell me exactly what to do. You see, I'm a really good rule follower. Just tell me what to do and I can do it. I'm not usually the one to rock the boat or draw any unwanted attention to myself. I can keep my mouth shut. But in that movie, God asked Evan to build an ark. In real life, God asked Noah to build an ark. And guess what? Both times, fictional and true, it was HARD! Think how brave Noah had to be in order to build it. It said that the people were so wicked that God was sorry that He even created them (Gen 6:7). Think of how they must have taunted Noah. Good grief, even Evan couldn't handle it. He couldn't get away from the animals fast enough. He was labeled: "the weirdo with the beard-o" -- my favorite line from the movie by the way. Would I have been brave enough to obey God? I'm not sure. I would like to think that I would. The older I get, the easier I think it's getting. But peer pressure is so hard to resist. That's why I thought this challenge would help me and you. I want to be brave to be obedient. What about you? Make sure to leave your thoughts on your blog and link up or in my comments. Go down to the "You are next...click here to enter" and follow the directions to enter your blog on here. I want to know what you took out of this week! Great post. I think the Crosswalk.com chronological reading plan is not on par w/ yours, so I probably won’t be on par w/ your discussions… but i am still on for daily reading! I’ve been doing your challenge and too had to read a couple days at times to catch up. Like this morning I had to read 3 days:( Anyway, I have found that the way they have it set up really keeps my attention. I’m looking forward to continuing this challenge. And staying connected to an “old” friend!